Organizing the files on your computer is tricky business. Not that the act itself is difficult, just moving / copying file from one place to another; but you are walking a fine line in terms of saving. One one hand an organization system makes it easier and saves time while trying to locate files later on; on the other hand if you spend too much time organizing, then you're not saving much anyway. But why spend time doing what the computer can do near instantly? Automating things is a computer's job so manually organizing files is like heating a clothes iron on a stove. 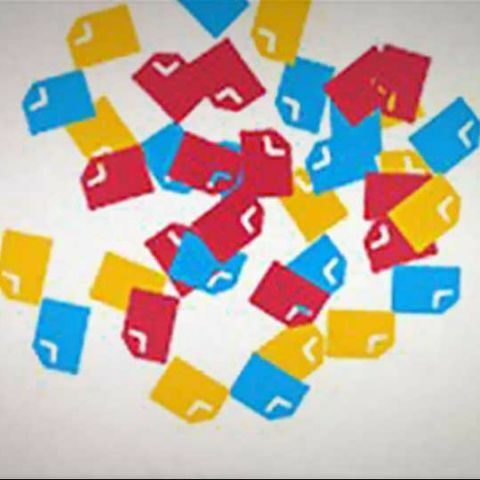 DropIt automates the tedious task of ensuring that the right files go to the right folders. 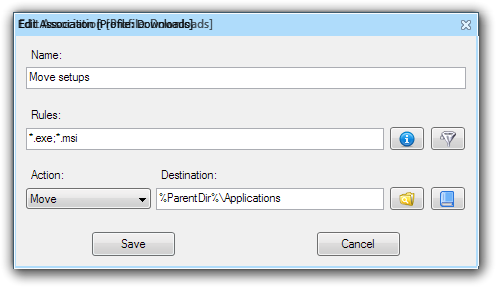 DropIt allows you to specify any number of "associations" that define how files that meet a particular criteria should be treated. For example, you might want to move all large .exe files (software setups) to a particular folder. For each association, you can specify, with wildcards, what patterns of file names and paths the rule is applicable to, and can filter based on the file's size and creation, modification and last opened dates. Of course you also need tell the software what to do with the files that match your defined criteria. Here you have nine options, Move, Copy, Compress, Extract, Rename, Open With, List, Delete, and Ignore. For each option you need to specify a destination. For Move, Copy, and Extract it is the destination folder; while for Compress and List it is the name of the output compressed / list file; for Delete you can specify whether the file is to be deleted to the Recycle Bin, permanently deleted, or securely deleted; Renaming needs a file renaming pattern; and finally Open With is to have the file opened with some other software. Open With leaves the door open for pretty much anything. You can have it filter all your videos of a particular format, and have them sent to your video encoding software with the right parameters. Listing creates an HTML file with the list of files matching the criteria in it. This output can be themed using templates. In most of these cases, you have access to a large number of system parameters, such as the name of the file, the extension of the file, the current time / date, common folders, and even the drive letter on which Drop It is installed. This last one can be very useful if the DropIt is running off an external drive; you can then have it search the computer it is connected to for a particular type of file (for example all documents), and collect them all it its own drive. Now that you have a bunch of associations you can have them applied to any number of files by dropping them on a floating DropIt icon. 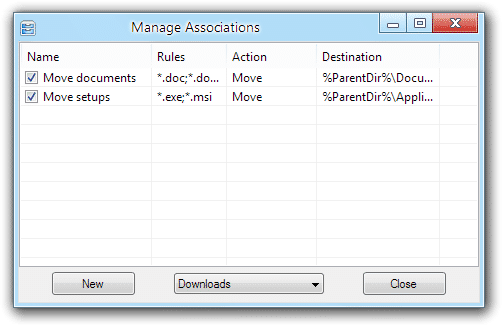 Optionally you can have these actions applied to a folder automatically a specified period of time; a great way to keep your downloads directory or Desktop directory organized. A bunch of rules can be bundled together as a profile; so you can have one profile automatically applied to your desktop every some time, while another is used when you drag and drop files to the DropIt icon.